While President Temer says Brazil is turning the corner and as Finance Minister Henrique Meirelles jockeys for a possible run for President in 2018 bragging in international meetings that Brazil has its lowest inflation in years and the economy is starting to grow after almost 3 straight years of recession. Indeed, the Brazilian BOVESPA is at record highs and the international investment community is beginning to see opportunity all over. With a broken economy, there are attractive valuations and the post-PT government is breaking down the national populist restrictions on oil and other natural resources. Still on the ground, things are bleak. Unemployment has barely budged. The state has resources only for political bargaining to guarantee that Temer finishes his mandate and all social and economic projects that were supposed to help the less fortunate have lost resources or are being dismantled. Silicon Valley nests venture capital and while Brazil is always a challenge, VC firms seek talent, innovation, entrepreneurship and marketing that will lead to profits. In this search, there is no correlation between growth of GDP, political stability, and democracy and VC investment. So Brazil’s macro level crisis is of little import and money will flow where investors find a deal no matter the political economic situation. This year’s event once again showed deals in Brazil and a growing maturity of Brazil’s VC environment. Since the early 2000’s, Brazil has completed numerous cycles of VC funding and the infrastructure for VC investment is favorable. We find a thriving VC community, accelerators, service providers, mentorship organizations, cloud services, corporate support and perhaps most important investors and success stories. 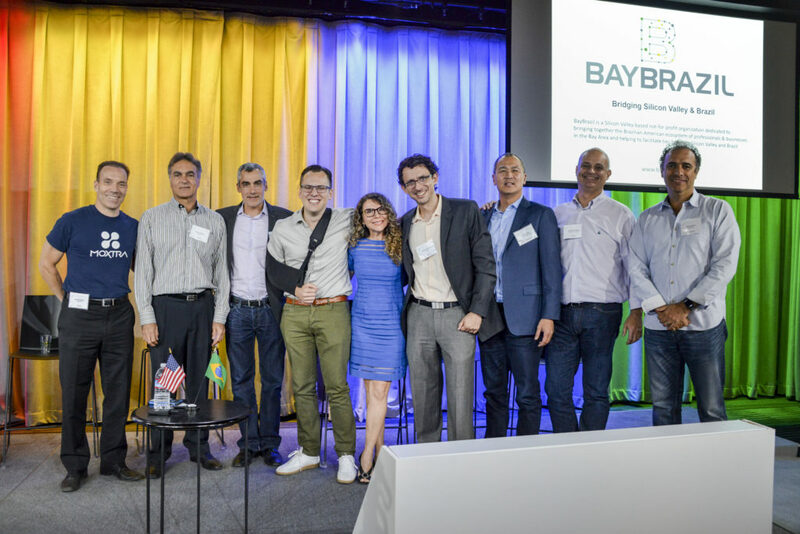 Fintech (High Tech Finance) was this year’s standout sector at Bay Brazil. The basic idea behind FINTECH is that the Brazilian banking and financial market while powerful; it is also replete with inefficiencies and therefore ripe for challenges and changes. The sector is notoriously concentrated and even oligopolistic with high spreads on some of the world’s highest interest rate and outstanding profit margins. The Fintech sector recognizes inefficiencies in the banks and is entering the sector offering major reductions in the cost of credit or funds by taking advantage of the Internet, reliable databases, robust platforms and the ability to evaluate potential clients in an expedited fashion that banks cannot match. Fintechs have found a niche in Brazil (reportedly the world’s second largest lending market) by offering money at a much lower cost and more quickly than the banks. The bank reaction has involved stages ranging from rejection, awareness, engagement, and finally collaboration and acquisition. Along this line, it is perhaps worthwhile to note that Christine LaGarde, the IMF General Director, recently questioned the future of banks with the emergence of electronic currencies and fintech endeavors. So Brazilian banks need to be aware that they also face the tech redefinition that has hit many other industries, i.e. hotels, taxis, travel agencies, newspapers, books and manufacturing, etc. Members in our community are welcome to share information and opinions. The views and opinions contained on these articles are those of the authors.